Fabb Flipside is a project that has 4 stages, Flip 1. Foundation, organised Family Drop in Sessions in each locality for disabled children, young people and their families to introduce our organisation, staff and volunteers and the opportunities available. Flip 2. Participation, provided a Family Away Day to familiarise families with the setting, the accommodation and the skills and expertise of our staff and volunteers. 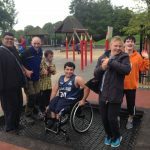 Disabled children, their siblings and parents/carers will be able to try a range of leisure activities, including, sport, play music, arts and outdoor adventure. Flip 3. Information, provided a Family Fun weekend, including activities for carers/parents to relax and make new friends while their children get a chance to be outdoors exploring. Deliver workshops to inform parents/carers how to continue to access respite. Flip 4. Independence, provided new opportunities for children and young people to participate in activities away from home, and to give parents and carers 48 hours respite, for many this will be the first time away from their children outwith school. The Drop in and family weekends will include information and advice surgeries covering welfare, benefits, tips on challenging behaviour from invited experts, and information about other services available, encouraging the uptake of mainstream services. Each carer would be able to get 1: 1 sessions with the experts. This project was a particular success. The children had access to so many new opportunities, campfire cooking from nettle soup to Bannock bread. Families were able to participate in activities together, for example, having access to adapted bikes. Furthermore, feedback has shown that the parents really benefited from participating in the holistic therapy sessions. They were able to enjoy relaxing and rejuvenating therapies such as Swedish massage, aromatherapy, Indian head massage or hot stone massage whilst their children participated in supervised activities. This gave parents precious time to truly relax. 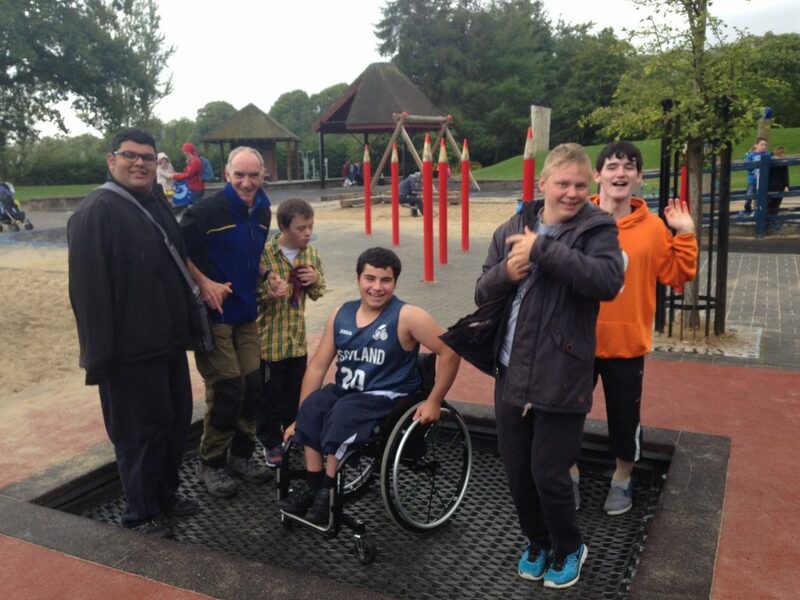 In addition, parents commented that they had the opportunity to socialise with other parents/families in a safe and accepting environment without the fear of being judged about their child’s disability or behaviours. The accommodation was a big hit with parents and children, set on the edge of the Trossachs National Park amidst beautiful scenery. This offered ideal internal and external space including large social areas and extensive gardens. We have developed links with 3 new local authorities and piloted a new progressive service. We have been able to extend our services to other geographic locations. Disabled children and young people, especially those with multiple support needs, will have more opportunities to take part in activities which are fun, stimulating and challenging. Carers of disabled children and young people (and those they care for) will have improved well-being. 24 parents/carers had an opportunity to engage in activities with their children and enjoy activities that promote relaxation and improved health and wellbeing. Delivered local sessions with young people and their families to try activities, get to know each other and progress to an away day. Organised 1 family away day for each local group (Up 18 children and 8 carers. "I can take both boys as there is no age restriction or barrier on the basis of disability. There are disability specific care services and there are mainstream services what happened to inclusive services!" "As a single parent of 3 disabled children I can take all my children on my own, we can all take part and have fun. The appropriate level of support is given. I want my children to be challenged and active and because they have disabilities doesn’t mean they need or want 1 to 1 care, which is costly and discriminatory." Carers will have more opportunities to live a life outside of caring. 24 Carers/parents had a break from their caring role. Delivered drop in sessions in each locality for up to 10 families. Provided access to 48 hours respite for 24 parents and carers through our themed weekend programme and a follow up to ensure sustainability. Carers will feel better supported to sustain their caring role 24 carers/parents felt better supported having engaged in the programme. Information workshops were held locally and at the family weekend to ensure parents and carers had access to support available to enable them to carry out their caring roles. Carers accessed resources locally to enable the person they care for to access wider opportunities, including mainstream activities and leisure services. There will be more opportunities and choices available for disabled children and young people and their families, including better access to mainstream activities and leisure services. One family were unable to attend the family weekend due to illness. We arranged a separate weekend in our new apartment and arranged activities for the children so that mum could get a break. She used the afternoon to catch up on sleep and she was so appreciative of the time for herself. Through sharing learning and practice, there will be a better understanding of the role of short breaks in supporting caring relationships, and a better understanding of the short break needs of disabled children and young people, and their carers. 30 families now have a better understanding of what is available and Fabb and other service providers will evolve services to cater for a diversity of needs and aspirations of young people and their families. We have engaged in events promoted by Shared Care Scotland to share good practice. Carers have been given additional support to take respite and give the person they care for greater choice and freedom to explore and make new friends. Fabb young people delivered a creative drama workshop at the International Shared Care Conference in Edinburgh.